In 1793 Tuki Tahua, a Maori chief, and his companion, Ngahuruhuru, were captured at Panaaki Island in the Cavalli group and taken to Norfolk Island to teach the convicts how to dress flax. While he was living on Norfolk Island Tuki Tahua drew two maps for Governor King, one in chalk on the floor of a room, and the other on paper. 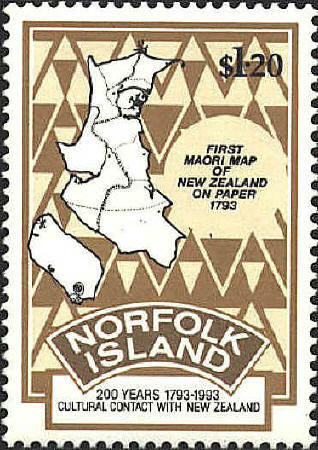 Tuki Tahua’s map on paper is reproduced on the Norfolk Island stamp. The Northern part of North Island is drawn larger than the rest of the North Island and the South Island. This is probably a reflection of familiarity, since Tuki Tahua knew the Northern part of North Island. The South Island is rotated 90° to the west, possibly because the paper was not large enough to draw it correctly. The tree-like symbol at Cape Reinga at the North end of the North Island may be the traditional tree from which the souls of the dead depart. The double dashed line from South to North represents the road traveled by the souls to Cape Reinga. The symbols on the North-east coast of the North Island are carved houses. The dotted line from East to West marks a tribal boundary. The symbols at the South-west of the South Island represent Murihiku, “the tail of the fish.” The symbols on the West coast in the South-eastern interior may represent sources of nephrite and serpentine. Tuki Tahua was familiar with European maps, and was able to locate England, New Zealand, Norfolk Island and Port Jackson on them. His map measures 37 by 49 centimeters. 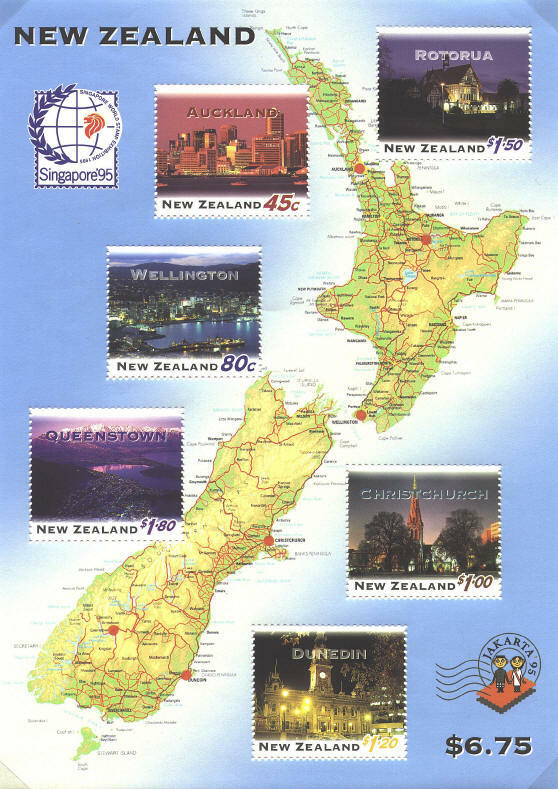 The map is preserved in the Cartographic Collection of the Alexander Turnbull Library in Wellington, New Zealand.